We Welcome Back, Kathryn Orsulak! She has been a real estate agent for 41 years. She has retired and now She Is Back! 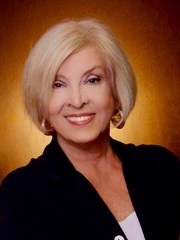 She has been a Multi-Million dollarTop Producer for many years in the State of Louisiana. She comes from a Military family. Her husband is a retired Leuitenant Colonel RC 135 navigator and is very familiar to the Military ways of life. She is honest, hardworking and will work for only you, the Buyers and Sellers! She is a real Go-Getter!